Young right-back Lewie Coyle has signed a new contract with Leeds United. Nineteen-year-old Coyle has been tied to a 12-month deal, completing a full take-up of contracts among United’s academy players. 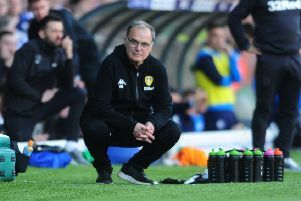 The teenage defender was one of eight youngsters offered extended terms by Leeds following the conclusion of the 2014-15 season. Midfielder Kalvin Phillips accepted a two-year deal while Lewis Walters, Alex Purver, Luke Parkin, Tyler Denton, Jake Skelton and Eric Grimes have all signed one-year contracts. Coyle - the younger brother of Hull boxer Tommy - is yet to feature for United’s first team but he has been training with Uwe Rosler’s squad since the start of pre-season training last week. The 19-year-old spent time on loan at Harrogate Town last season but the move was cut short by injury.